Amazon has finally unveiled its smartphone offering, and it looks impressive. The fabled Amazon Phone has been the subject of rumors and leaks for years, and some gadget enthusiasts were beginning to wonder if the device was just a myth or a never-ending work in progress. However, after a long period of uncertainty, earlier this week Amazon actually made the “Amazon Fire Phone” official, so the smartphone is as real as it can be. 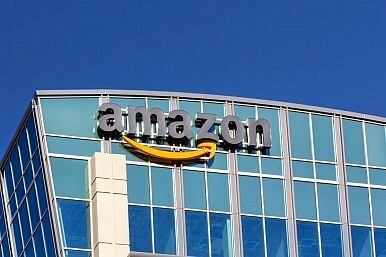 Not only that, but the previous rumors suggesting that Amazon intended to create a unique device featuring 3D effects have turned out to be on-point. The Amazon Fire Phone is the product of years of research and development, and it is indeed in a league of its own. By the looks of it, the handset might have what it takes to become a landmark in the mobile world, rather than a gimmicky device. Let’s take a look at what we can expect from this highly-anticipated smartphone. Before we go into too many details about the smartphone’s most unique features, we should get the raw hardware specifications out of the way. Amazon has equipped the Fire Phone with a quad-core Snapdragon 800 SoC (four Krait 400 cores running at 2.2. GHz per core and an Adreno 330 graphics chip). The device makes use of 2 GB of RAM and it will be offered with either 32 or 64 GB of storage, non-expandable. The entire package is being powered by a 2,400 mAh battery, which promises higher performance than the industry’s leading flagship devices, such as the iPhone 5S and the Samsung Galaxy S5. The gadget is said to deliver up to 22 hours of talk time, up to 285 hours of stand-by time, 11 hours of playback, and up to 65 hours of audio playback. Last but not least, the Fire Phone takes advantage of a 13 MP main camera with Optical Image Stabilization, which also promises better performance than the SGS5 and the iPhone 5S. The Fire Phone packs a 4.7-inch IPS LCD panel with a resolution of 720 x 1280 and a pixel density of 312 ppi. On the face of it, the 720p screen might not impress, but in reality, Amazon put a great deal of effort into creating a powerful display. While the amount of pixels per inch or the resolution is not on-par with the latest and greatest top-tier devices out there, the Fire Phone’s display is capable of delivering 590 nits of peak brightness. This is on par with iPhone 5S’s display, which is capable of producing 587 nits of brightness. In addition, the screen has a circular polarizer layer built in, which contributes to good visibility in direct sunlight as well as great contrast levels. The feature is actually similar to Nokia’s ClearBlack technology. Evidently, one of the most anticipated and hyped features delivered by the Amazon Fire Phone is the whole 3D technology. However, the first thing that we need to mention is that the device does not come with a conventional 3D display. In other words, this isn’t the same technology used by devices such as the HTC Evo 3D or the LG Optimus 3D. In reality, the Amazon Fire Phone comes with a non-3D display and four infra-red cameras placed at each corner of the front-facing panel, which are used to determine the position of the viewer’s head. The user interface then reacts accordingly, and creates an effect that is more similar to the parallax effect delivered by iOS 8. The entire system creates a dynamic perspective effect, which allows on-screen items to be displayed as if they were 3D, by changing the perspective of the items according to the user’s head in relation to the phone’s display. The effect is not as striking as one would imagine. It’s actually more subtle, and it works in a number of applications where the effect offers a more practical use rather than being a mere eye-candy element. More so, the SDK supports the implementation of dynamic perspective in third party apps. Interestingly enough, the Amazon Phone not only packs impressive hardware and a unique user interface, but it also comes with a couple of extra features that should definitely turn some heads. For starters, Amazon will give Fire Phone users access to the Mayday customer support. The service can be accessed by the user in order to get in touch with an Amazon representative very quickly. On average, Mayday has a response time of 9.75 seconds, so if you’ll experience any issues with the device, then you’re not going to be put on hold for minutes. Moving on, Amazon has also announced a brand new feature called “Firefly” which will be available on the Amazon Fire Phone. In a nutshell, Firefly is a system that uses the camera and microphones in order to recognize not only songs (a la Shazam), but also QR codes, DVD covers, books and basically any text and image. It’s actually that complex, and according to Amazon, Firefly is capable of recognizing more than 1 million items. The company put a lot of emphasis on Firefly, to the extent where it actually fitted the smartphone with a dedicate physical button that launches the Firefly app once pressed. The Amazon Fire Phone is definitely more than meets the eye, and there are numerous features that seem to contribute to creating a handset that is greater than the sum of its parts. For instance, the package will include a pair of in-ear headphones that boast a tangle-free design with flat cables, as well as magnetic earbuds. The smartphone itself also features dual stereo speaker setup, placing it in the same league as the HTC One M8 and the Sony Xperia Z2. The design is not too shabby either, and despite the fact that the handset is 9 mm thick, it actually looks and feels premium thanks to a combination of injection-molded steel connectors, a rubber frame, soft grip coating and metallic accents. As far as availability goes, the gadget will initially be offered in the U.S. exclusively via AT&T, and it will cost $199 on a 2-year agreement, which isn’t bad at all given the fact that most high-end smartphones that cost $199 on-contract feature 16 GB of storage as opposed to 32 GB. As for the 64 GB model, AT&T will offer it at the price of $299 on-contract. The smartphone is already available for pre-purchase via Amazon, and it is expected to be released on July 25. What’s your take on the Amazon Fire Phone? Do you think the company is onto something great, or has the Fire Phone failed to get your interest going? We invite you to share your thoughts in the comments section.